Sorry but it was wishful thinking for anyone that wanted to make underpowered characters viable using mods. 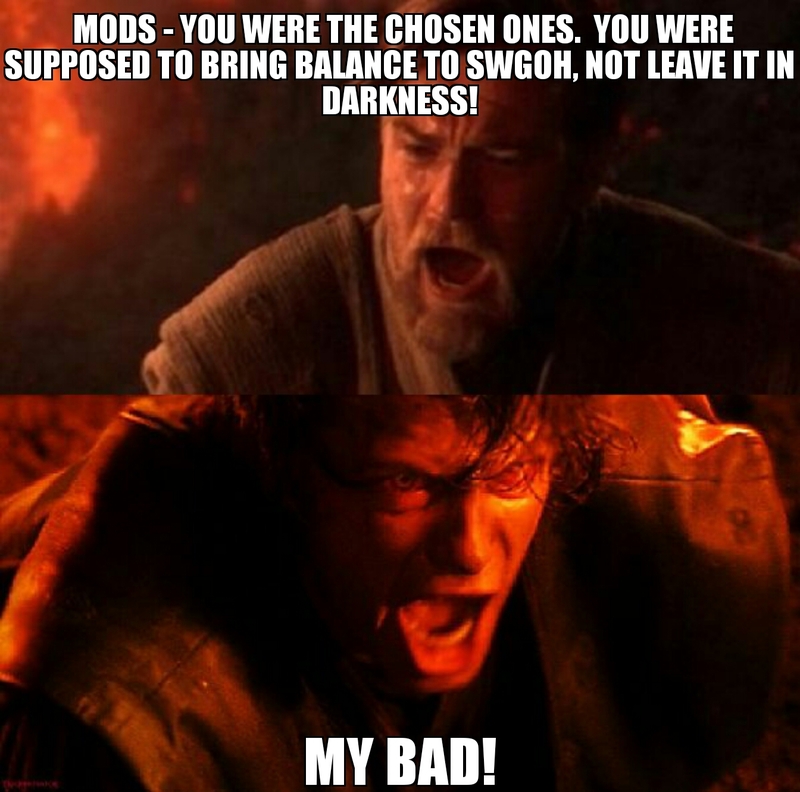 That was never the appropriate solution to balance issues as all characters benefit equally from mods. It's up to CG to take the imitative to bring Rey down to earth and make Boba useful. As much as we would like to solve that problem ourselves, that was simply wishful thinking. CG is never going to do it. This was the best we had, and it was excellent. It's CGs way of saying that they don't know how to do their job and balance their own toons, so they tried to let us do it, and couldn't do that either. In their defense that's a tough job. I maintain the devs are probably under unrealistic time constraints and pressure forced on them. That's how things like this happen. As for Rey earlier, there is nothing wrong with her. She can be dealt with easily but is one of the only dps toons a lot of people have that's worth the salt. The answer is making more toons more viable in that department then people won't see her as much. Put the deathmark on her as quick as you can in the battle bud. Or keep her stunned. Gotta do one of the two.